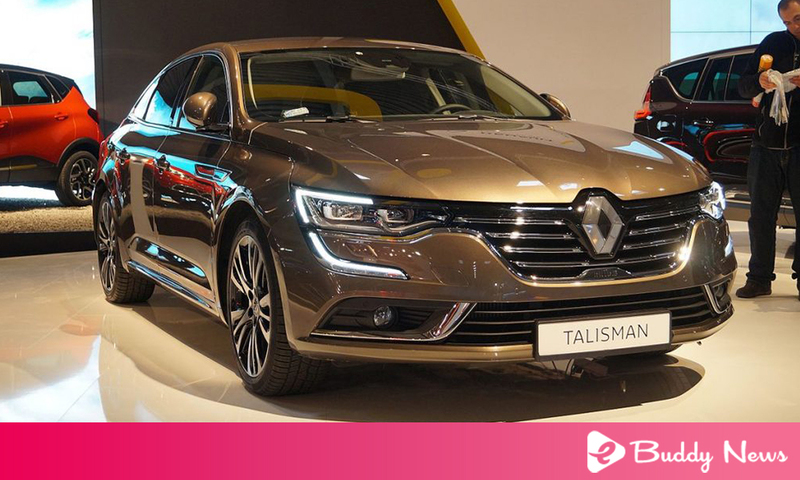 Two proposals that reinforce the Renault Talisman range as one of the most competitive in the D segment, also due to the excellence of the lines, levels of habitability, comfort, refinement, and technology. Renault Talisman Business is available for $ 41,143 and Executive for $ 44,335. Even more equipment without sacrificing price. This is the premise of the launch of the two new Business and Executive special series for the Renault Talisman. Two proposals that reinforce the model as one of the references of the competitive segment D. A top of the range that stands out for the almost five meters of length of the bodywork, but also for the beauty and distinction of the lines. An automobile that, in the interior, impresses by the space, quality, luxury and technological equipment. A proposal that also stands out for the versatility, since it is available in the saloon and Sport Tourer versions, with four engines (three diesel and one petrol) and four levels of equipment, highlighting the new special Business and Executive series. The most affordable Business is available for $ 41,143. An extraordinarily competitive price, considering that, in relation to a Mégane top of equipment, equipped with the same engine dCi 130, only costs about 16 percent more and with an interesting list of equipment, especially: air automatic bi-zone climate control, leather steering wheel, seat with massage function, 17-inch alloy wheels, MULTI-SENSE system, R-LINK 2 multimedia system with 7-inch touch screen which is compatible with the Apple CarPlay TM1 system and Android Auto TM2, front and rear parking aid system, fog lights with corner lighting assistance, Full LED lighting, etc. That is a proposal that democratizes access to the most exclusive segment D.
But for just over $ 3,482 than the special Business series, Renault proposes the Talisman Executive. A Talisman who, as the name implies, is still more exclusive. Available with the saloon bodywork and Sport Tourer, it is proposed with dCi 130 diesel engines (with the six-speed manual gearbox or EDC), dCi 160 EDC Twin Turbo and the gasoline block TCe 200 EDC. Outside, as standard equipment, the Full LED light signature, the 18-inch alloy wheels and the over-glazed windows stand out. The cabin impresses by the space and comfort, not missing statutory and technological details. As soon as you enter the Renault Talisman Executive, the 8.7-inch digital screen welcomes you. TEP fabric benches combine comfort with relaxation as they provide three different types of massage and various levels of intensity. The ergonomics and the quality of the materials reinforce the feeling of well-being. The curtains in the rear seats, the details in chrome and the steering wheel in leather are for example. The modern instrument panel is customizable. On top of that, the retractable color screen allows the driver to access information related to navigation, speed, signage and safety distances, without taking his eyes off the road. But the technology extends to the center console, where the “brain” of the Renault Talisman Executive is, thanks to the 8.7-inch touchscreen, which allows access to the R-LINK 2. A device that can be the navigation, telephone, applications and radio functionality, but also with a simple click or slide of the pages, just like on a regular tablet and compatible with the Apple CarPlay TM1 and Android Auto TM2. But as with the special business series, the executive’s R-LINK 2 system offers innovative MULTI-SENSE technology that allows you to customize the car to suit your needs or the driver’s mood. Indeed, on the touch screen, or through a specific button positioned on the center console, the driving modes can be selected sport, Normal, Comfort, Custom or Eco. That is, the possibility to parameterize the car at the level of suspension, steering, throttle response, and engine speed, but also the environment of the passenger compartment. Five colors – red, green, blue, violet and brown – that extend through the center console and door panels, front, and rear. And, in the case of versions equipped with the EDC double-clutch gearbox, also the speed of the gearboxes. In the safety chapter, the Renault Talisman Executive benefits from the latest driving aids developed by the brand. A long list, which includes Adaptive Speed Controller (ACC), Active Emergency Brake (AEBS), Unintentional Range Transpose Alert (LDW), Safety Distance Alert (DW), (OSW with TSR), the blind spot warning (BSW), the reversing camera, the automatic high / low shift (AHL) and the front, rear and side. Among the equipment available as an option, highlight the 4CONTROL system. For only $ 1,277, the Renault Talisman Executive benefits from four directional wheels, a unique equipment in the segment. In progress, (from 50, 60 or 80km / h, depending on the driving mode) the rear wheels turn in the same direction as the front wheels, with all that implies in terms of safety and driving a pleasure. At the reduced speed, the rear wheels turn in the opposite direction of the front wheels, with a maximum amplitude of 3.5 degrees, in order to favor maneuvers, such as parking. Last but not least: both versions benefit from the 5-year Renault warranty. And, with an overall rating of almost 80%, the Talisman obtained the 5 stars in the passive safety tests performed by the independent body Euro NCAP. This result was obtained in accordance with the most stringent criteria applied since January 2015.